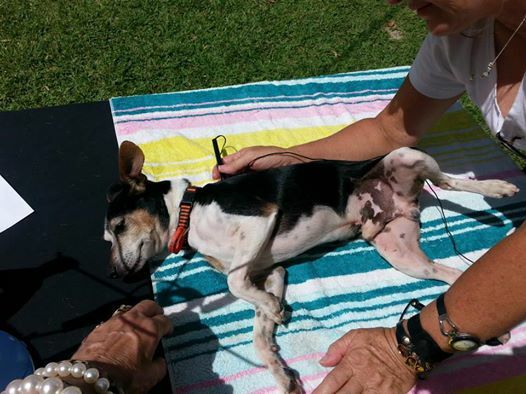 Why not – Acupuncture for Animals! Acupuncture and TCM can benefit all life stages (juvenile, adult, and senior) and a variety of conditions. Determining and resolving the underlying reasons illness are occurring is one of the aspects of Traditional Chinese Medicine’s approach that can reduce the cumulative effect of chronic illness. Since most pets’ health problems are diagnosed once illness has become very advanced, it’s vital to strive to prevent disease from occurring. 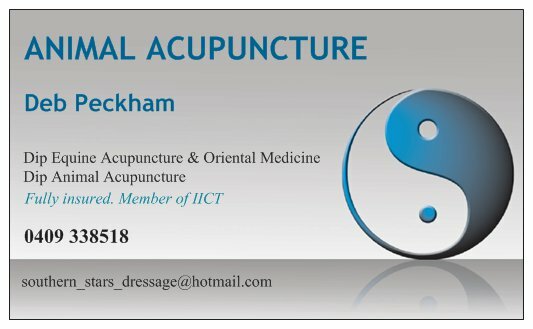 What Can Acupuncture Do for My Horse, Dog or Cat? Acupuncture stimulates the release of the body’s own pain relieving and anti-inflammatory substances. Relaxation of muscles at the site of needle insertion and more distant locations body is achieved with acupuncture treatment, creating both a local and generalized pain relieving effect. 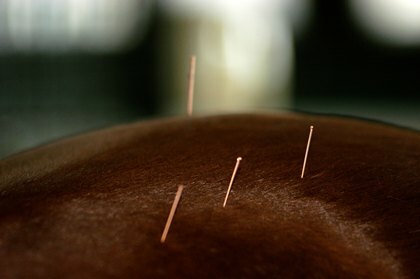 Acupuncture improves tissue blood flow, oxygenation, and removal of metabolic wastes and toxins. Unlike prescription and over the counter pain medications, acupuncture lacks potential adverse side effects for your pet’s internal organs. Your pet’s medications or supplements will not adversely interact with acupuncture treatment; therefore it can safely be used to treat a variety of illnesses. The goal of acupuncture is to promote the body to heal itself. From a Traditional Chinese Medicine (TCM) perspective, acupuncture encourages healing by correcting energy imbalances in the body. Acupuncture enhances blood circulation, nervous system stimulation, and the release of anti-inflammatory and pain relieving hormones. Acupuncture involves the insertion of needles into body tissue where nerve bundles and blood vessels come together. These collections of nervous and vascular tissue are termed acupuncture points, which course over all aspects of the body’s surface on meridians (energy channels). The meridians permit a cycle of energy to occur throughout the entire body over the course of the day’s 24 hours. Administration of pressure to acupuncture points to elect an effect comparable to needle insertion. This is great for hard to reach locations, behaviorally challenging pets, and for circumstances needle treatment may not be available. Application of a heated Chinese herbal compound to needles. Heat is very beneficial to pets that are older or suffering from conditions involving joint stiffness and/or muscular soreness. Coursing electric current into the body between needles inserted into acupuncture points. Estim relaxes spasming muscles and can aid the body in reestablishing nervous impulses when nerve damage has occurred (nerve root or spinal cord damage from a ruptured intervertebral disc, etc). Using laser energy to stimulate acupuncture points. This “hot” topic in physical rehabilitation is actually very “cool,” as most lasers don’t generate significant heat that burns hair or skin. Lasers are great for providing “needle-less” acupuncture treatments especially on patients that don’t readily tolerate needle insertion.